Golden Brown, texture like sun. 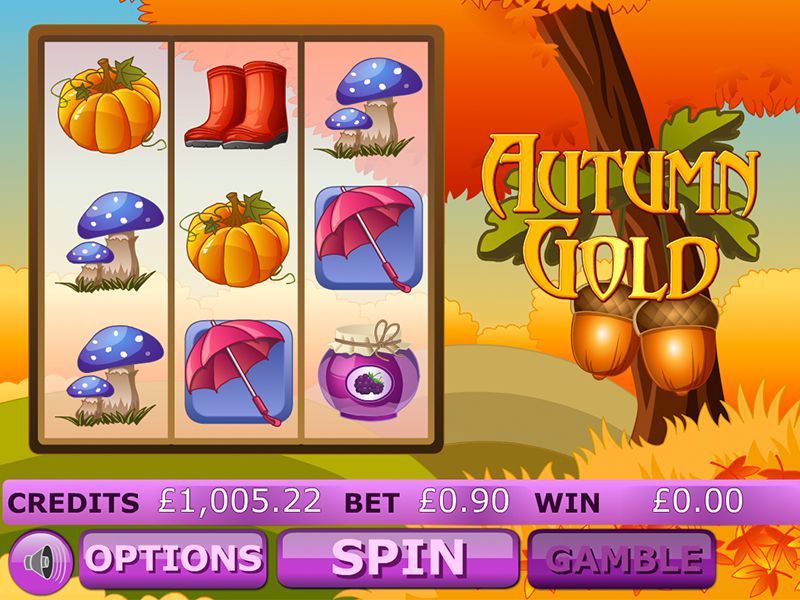 This autumnal 5 reel slots online UK game is filled with the shades of the season and some lovely free spin bonuses. Uncover the chestnuts and the maple leafs to generate some magnificent cash rewards. Eyecon Games, founded in 1997, never disappoints with their online slot games. Based in Australia, Eyecon aims to create engaging, unique experiences for players to enjoy their games. Take, for example, some of their best-known slots: Fluffy Favourites, as well as Irish Luck, still demonstrate that this developer can cater for every audience around the globe. With over 6 billion spins over their 160 games every year, it’s clear that Eyecon wants to remain pioneers in their field, even after twenty years in the industry. You can discover more about their range of games here at easyslots.com. If you’re finding this gorgeous summer weather a little too overwhelming, I recommend heading straight into Autumn Gold. The beautiful reds and browns of the leaves falling from the trees are exactly what you need! The theme of this game is reflected beautifully in the artwork. The background is set in the forest, underneath a golden tree at sunset… the perfect atmosphere for relaxing in the cool air. The symbols, of course, are reflective of this aesthetic – with mushrooms, pumpkins, umbrellas, and Wellington boots, you would be forgiven if you were fully immersed in the calming atmosphere. 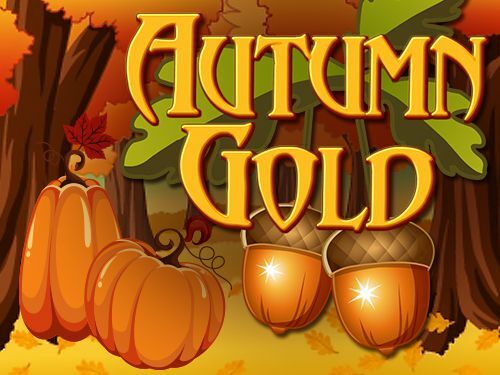 With no background music, bar the stereotypical ‘win’ sound of the casino slot, Autumn Gold is a wonderful game to relax with. Taking from the success of Fiddle Dee Dough and the like, Autumn Gold has a simplistic, easy to use reel system and control scheme. With a 3 x 3 board and a proportionally pleasant nine pay lines, this online slot game is appropriate for low rollers just looking to relax over an afternoon. 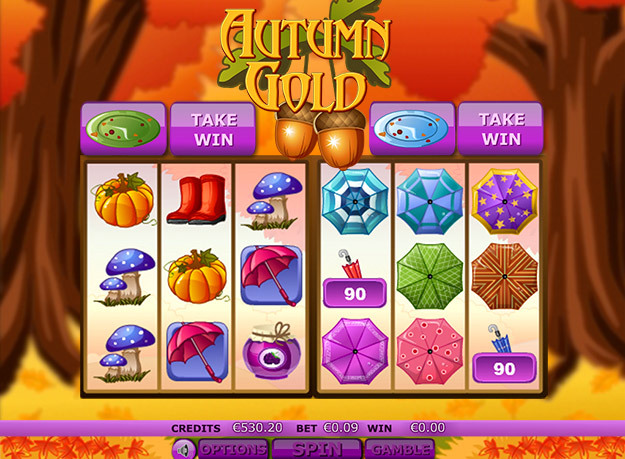 Although missing the ‘Gamble’ feature of other Eyecon games - where you can double or quadruple your winnings by guessing the colour of the suit of a card correctly – Autumn Gold truly brings the slot game back to its roots. Personally, the concept of a gamble feature is quite good, as it is a choice whether to do it or not. Therefore, it definitely would not go amiss. The symbols themselves reflect this simplicity, however: when three Scatter leprechauns are present on your board, you get eight free spins. During this time, the winnings are tripled, and you have the opportunity to strike lucky, and retrigger more free games. The Fiddle Dee Dough logo functions as a substitute for all the other regular symbols, as usual. Probably the best aspect of this online slot game is that of the Pot of Gold, another scatter symbol. When this happens, the player is awarded three picks from their winning pot – awarding a prize that is up to 111x the original winnings. For more promotions! visit https://www.easyslots.com today! The fact that the game is simple, however, shows that it plays to its strengths. With a minimum bet of 0.01, and a maximum of 5.00, the spins are fast; ultimately meaning you do not waste time with fancy animations and ‘bonus rounds’. This definitely sits well with low rollers, who would enjoy being able to take it easy while spinning to their heart’s content. A simple, Easy slot game, with a hassle-free UI to match. Worth playing if you want to relax and enjoy the sombre months of Autumn as the leaves slowly caress the pavements outside as you gaze into the reels with disbelief as the cash just keeps rolling in, leaving you utterly speechless! Join today and pay with phone credit casino!